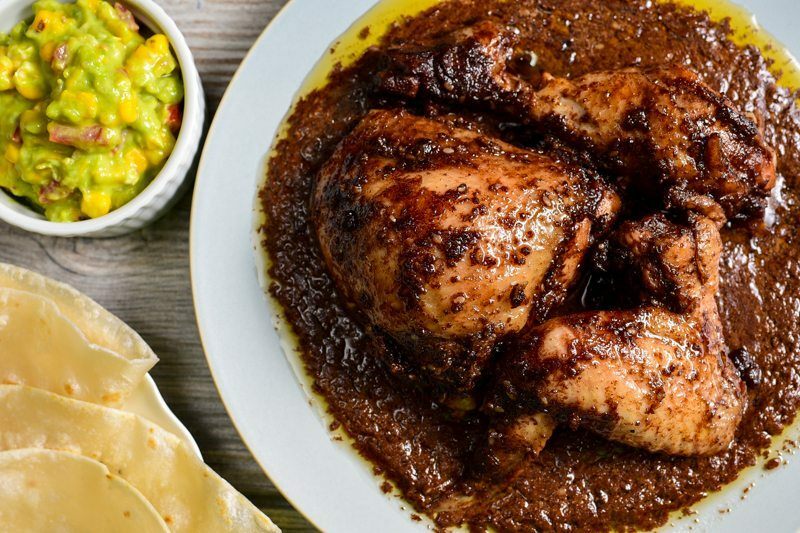 Though mole may be prepared from a variety of colored peppers, perhaps the most famous outside of Mexico would be the Mole Poblano, with its distinct dark color from the use of chocolate, and poblanos of course. I tried to recreate this classic dish, not working on any given recipe, but rather simply being guided by an understanding of its origin. I've used chicken, going by what is popular, though I'm sure that any cut of meat – pork, beef, or any other poultry such as turkey, would work. 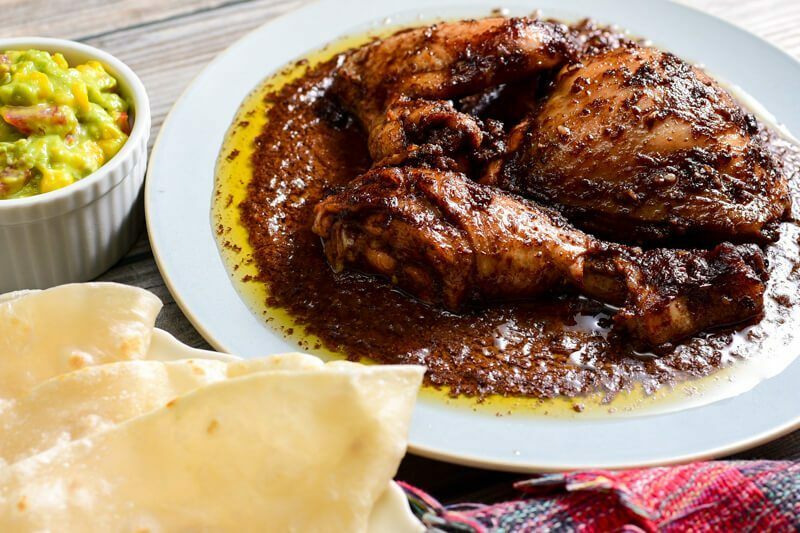 Though some cooks may add their choice blend of spices into the sauce, I think that chicken, given its relatively short cooking time would get a much deeper flavor if subjected to these spices in the form of a marinade. For tougher cuts of meat such as beef, which would require more cooking time to tenderize, I would have to totally agree that they'll get enough flavor without any need for marination. 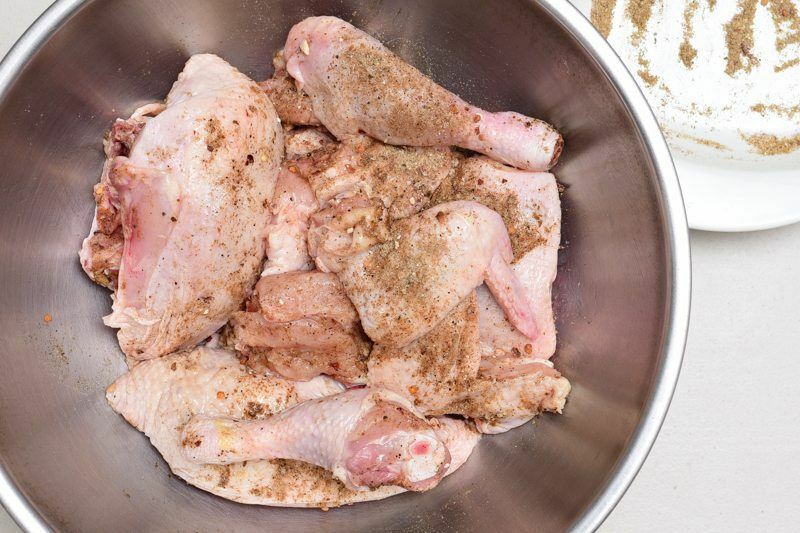 Quite familiar with the spices used in Mexican cooking, I simply went for some cumin, garlic powder, chili flakes, salt, pepper, and some lime juice for my chicken. I left them in this quick spice rub for 4 hours. Now for the mole sauce. Again, working on my knowledge of this dish, I simply blended up some tomatoes, onions, garlic, serrano peppers, salt, chicken broth, and mole paste. 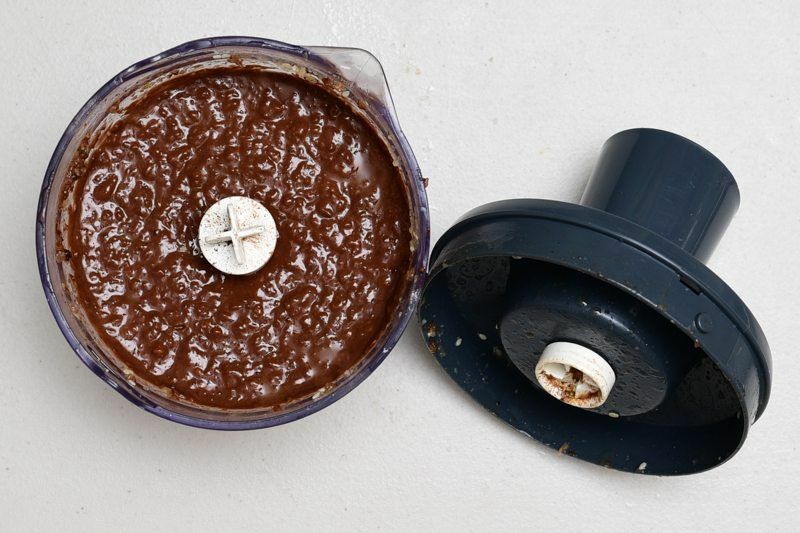 Using easily available mole paste which commonly comes in cans would definitely be a lot more convenient, though making one from scratch would also be fairly easy and you'll do find a lot of good recipes from many other sites. Just as with my curries, I prefer working on my own Mole paste, tweaking the ingredients as I go. Begin with some roasted peanuts(or peanut butter), some chocolate, a few seeds(sesame seeds), some dried herbs such as oregano and thyme, a fruit component such as raisins, and a blend of chiles such as poblanos, guajillos, or anchos. You may also add spices such as cinnamon, cloves, and/or cumin into this paste. Throw everything in a food processor, tasting and tweaking until you get the taste perfect for your preference. 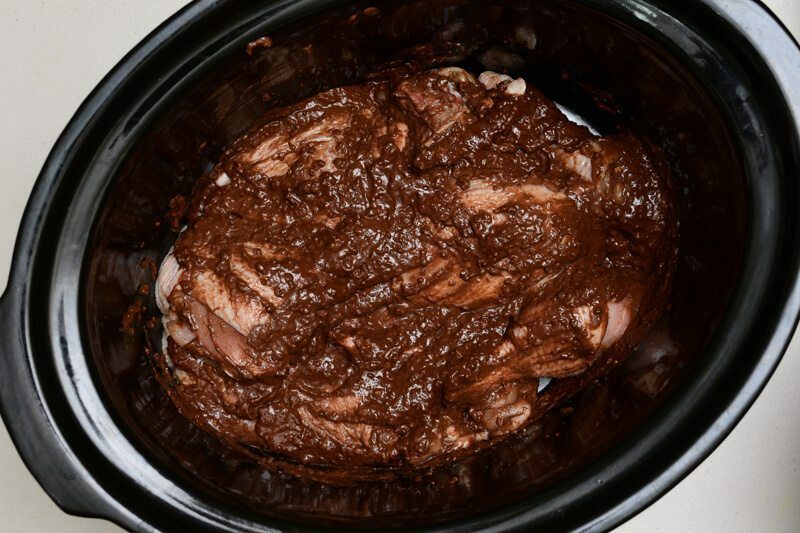 I simply combined this mole sauce with my chicken in the slow cooker, added some stock to thin the sauce out a bit, and left everything on low for 6 hours. Simple yet really rich and flavorful. I'm definitely cooking this recipe again in the near future. 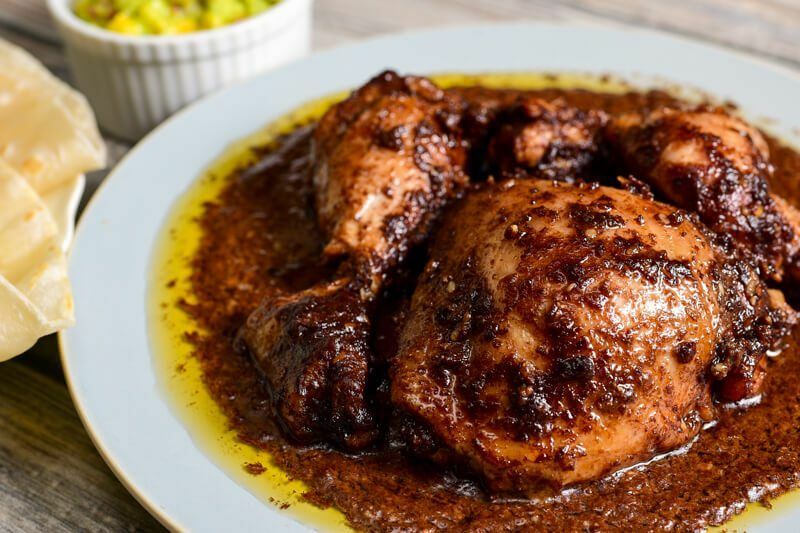 This chicken mole looks so good and I’m sure it’s so tasty, as a Mexican living in Canada I always appreciate a good recipe to cook some Mexican food. 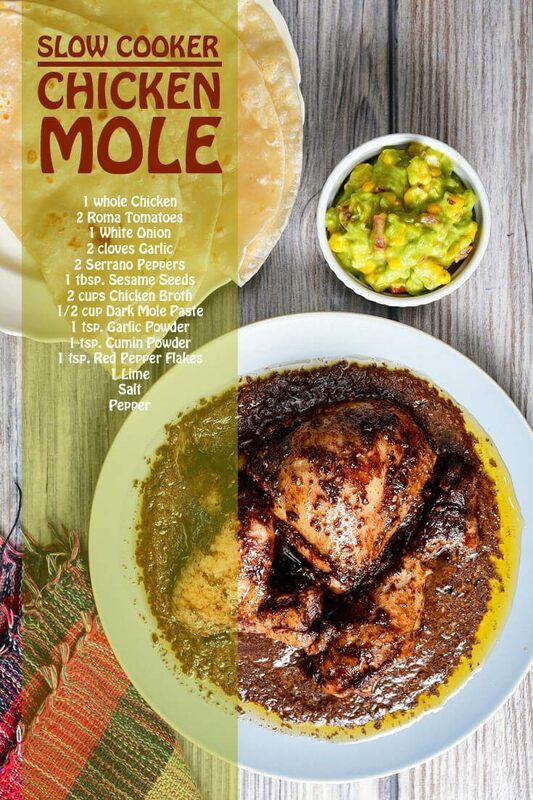 I should say your recipe looks close to the original to make chicken mole as you were Mexican and easy to make. I’m sure I will surprise my husband this week with this recipe, thanks for sharing. That’s the best option. When you can’t buy what you need, make it yourself! It’ll take a few tries to get it perfect, but eventually you’ll impress yourself and probably save money while doing it. 30 Gluten-Free Banana Bread Recipes: Nuts Or No Nuts? 18 Paleo Green Smoothie Recipes To Boost Your Daily Health!